Do you have someone in your life who will support and encourage you without judging you? That’s exactly what a Life Coach provides! If you are overstressed, stuck in a job you hate, not sure of your next step, then a Life Coach may be just what you need. We can all use a coach at various times in our lives to encourage and support us, helping us to become the best we can be. Individual coaching sessions are usually in one to one coaching sessions but you may also phone your coach to make scheduling easier and removing the need for any travelling. A group of Harvard graduates were asked how many of them had written goals and action plans for their achievement. 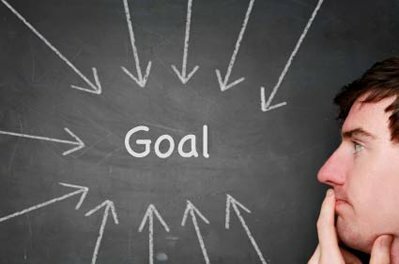 A 10 year follow up showed that 3% who had written goals were ten times more successful than the other 97% who had not !!! Your Star 2 Success Life Coach will ask a lot of questions, listen intently, provide advice and feedback as necessary, assisting you to resolve problems and implement changes to achieve your goals. A coach will ask exactly what you want to change and then help you stay focussed on what you want to achieve. Star 2 Success Life coaching deals with devising action plans towards specific goals; it does not require looking at the past or discussing emotional issues, it simply focuses on where you are and where you want to be and helps provide a bridge from one to the other. Our Life Coaches are experienced, intuitive and incredibly perceptive when it comes to human behaviour; their quick business mind means you get great value.